The only reasonable expectation one could have heading into Best F(r)iends Vol. Two was that it would be a very strange movie. A Twitter reply from the official movie account stating that this cut was an early preview version only added to the mystique of Tommy Wiseau and Greg Sestero’s latest team up, one where the significance of the parenthesized R in the title really comes to life. Volume One was about a friendship, but Volume Two sets its sights on the ways in which human connection often transform us into, well, fiends. I found myself constantly thinking of the work of Terrence Malick as the movie rolled along. Like Days of Heaven, The Thin Red Line, and The Tree of Life, the cinematography of Volume Two often takes a detour to focus on the macro questions that humanity has grappled with throughout time. One of the many benefits of repeat viewings of The Room is that one finds themselves pondering similar thoughts upon the seventh go-around through that narratives. Sometimes the here and now is less important than the why of it all. I don’t think there’s anyone in Hollywood who understands the importance of that question quite like Tommy Wiseau. Volume Two has a lot less Tommy Wiseau than the first movie, but his presence never looms far from the narrative. Sestero’s Jon mostly interacts with girlfriend/accomplice Traci, played by Kristen StephensonPino, and her uncle Rick, played by BF newcomer Rick Stanton (though he’s credited on IMDB for the first volume). Rick delivers many of the movie’s most memorable lines not uttered by Wiseau, but the new dynamic somewhat under-delivers on the foundation built between Wiseau and Sestero by the first movie. In my review of Volume One, I noted how the friendship between Wiseau and Sestero served as the driving force behind all their collaborations, as well as The Disaster Artist. Volume Two furthers this concept by separating the two real-life best friends for much of the movie, reminding us that we can never truly venture too far from that which forms the very ethos of its existence. Wiseau has compared Volume Two to Breaking Bad in interviews over the past few weeks, a comparison that makes sense not just from a narrative standpoint. If Walter White was Bryan Cranston’s career evolution from his time on Malcolm in the Middle, Best F(r)iends is an acknowledgment that Wiseau’s career is destined for another chapter beyond his iconic debut in The Room. Like Malick, I’ll always be down for whatever’s next for Wiseau. In an era defined by big-budget franchise movies that ooze an aura of complacency and sameness, Tommy has consistently brought something new to the table. The Room is often unfairly pigeonholed into the “so bad it’s good trope,” which has never done justice to the real reason the movie lives on in the present tense in a way that no movie besides The Rocky Horror Picture show can claim. The Room gives its audience something all too foreign to cinema: something fresh. There were only three people in the theatre for Volume Two, including my partner, far less than the crowd who showed up for the first go around of this two day event. We laughed the entire time. I felt euphoric upon leaving the theatre, experiencing a world where anything was possible. Movies used to make a lot of people feel that way. 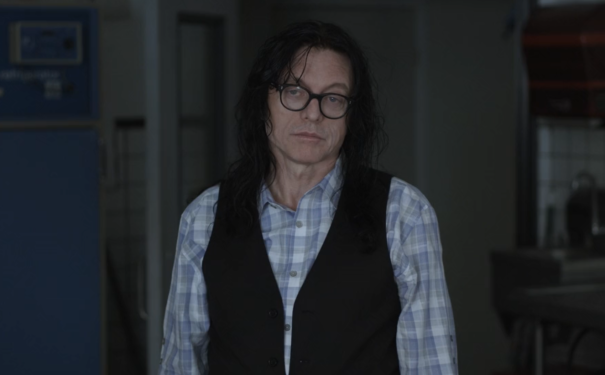 Tommy Wiseau’s career has consistently embodied the American dream. He worked hard, refined his talent, and transformed a common abstract ambition into a global phenomenon. Best F(r)iends: Volume Two is both a worthy tribute to the sheer force of nature that willed this career into existence, and a satisfying addition to his legacy. Preview cut or not, I’m very happy to be along for the ride.